Telling the story about Able Danger takes time, but it is important, because its work strongly indicated that the man identified as “Mohamed Atta” had been in the United States in January-February 2000, about 18 months before the 9/11 attacks, whereas the official story said he arrived in June, 2000. Tasked with collecting open-source Internet data on worldwide al-Qaeda networks and terrorist financing, this massive “data- mining” operation employing 80 people began in late 1999. Phillpott, Shaffer and Smith had already made their written submissions when testifying before the September 21, 2005, Senate Hearing on Able Danger. “Why is there no mention, Mr. Speaker, of a recommendation in September of 2000 to take out Mohammed [sic] Atta’s cell which would have detained three of the terrorists who struck us?We have to ask the question, why have these issues not been brought forth before this day? I had my Chief of Staff call the 9/11 Commission staff and ask the question: Why did you not mention Able Danger in your report? The Deputy Chief of Staff [Christopher Kojm] said, well, we looked at it, but we did not want to go down that direction. “Weldon: Mr. Smith?I have direct recollection of the chart because I had a copy up until 2004. … At the time, after 9/11 when the pictures were released in newspapers and I did the compare on the chart, when I saw [Atta’s] picture there, I was extremely elated and, to anyone that would listen to me, I showed them the chart that was in my possession. Weldon: And you’re aware that when I gave that chart to the White House, Dan Burton, the chairman of the Government Ops Committee, was with me and stated to the New York Times, that he actually showed the chart to Steve Hadley and explained the linkages? 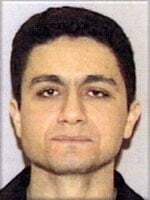 According to the official story, Mohamed Atta entered the US in June of 2000, but in fact he had come months earlier (January-February, 2000). Curt Weldon Address to the House: “Able Danger Failure,” US Congressional Record, October 19, 2005, p. H8983. US Department of Defense. Office of Inspector General, “Report of Investigation: Alleged Misconduct by Senior DOD Officials Concerning the Able Danger Program and Lieutenant Colonel Anthony A. Shaffer, U.S. Army Reserve,” September 18, 2006. Philip Shenon, “Second Officer Says 9/11 Leader Was Named Before Attacks,”New York Times, August 23, 2005. Philip Shenon and Douglas Jehl, “9/11 Panel Seeks Inquiry on New Atta Report,”New York Times, August 10, 2005. Devlin Barrett, “Panel Rejects Assertion US Knew of Atta before Sept. 11,”Associated Press, September 15, 2005. Philip Shenon, “Pentagon Bars Military Officers and Analysts From Testifying,”New York Times, September 21, 2005. Pat Milton, “Investigator: Hijack leader Atta visited New York before attacks,”Associated Press, December 10, 2001. US Department of Defense. Office of Inspector General, “Report of Investigation,Alleged Misconduct by Senior DOD Officials Concerning the Able Danger Program and Lieutenant Colonel Anthony A. Shaffer, U.S. Army Reserve,” September 18, 2006, p. 32. US Department of Defense, Office of Inspector General, “Report of Investigation: Alleged Misconduct by Senior DOD Officials Concerning the Able Danger Program and Lieutenant Colonel Anthony A. Shaffer, U.S. Army Reserve,” September 18, 2006, p. 32.